I need the freedom to be active and express myself but certain days of the month restrict me from doing what I want and wearing what I like. Oh No!!! When the thing of the month strikes “menstrual days” it just kills my mood. I don’t feel comfortable and confident to wear my body hugging dress. Do faced this dilemma like me? Girls… no worries with Laurier Super Slimguard. I am pretty assure of myself from day to night that I can perform my proposal presentations, head to gym after 5pm and slip into my body hugging dress for an evening event even on my menstrual days. I don’t have to worry about any unsightly pad lines. Well, now I can enjoy peace of mind and the freedom to wear and do what I want. Well, I am always on-the-go and multi-tasking most of the time so I need every advantage possible to ensure that I am comfortable and confident in doing whatever I need do. The freedom to be active is essential to face the challenges in my daily life. 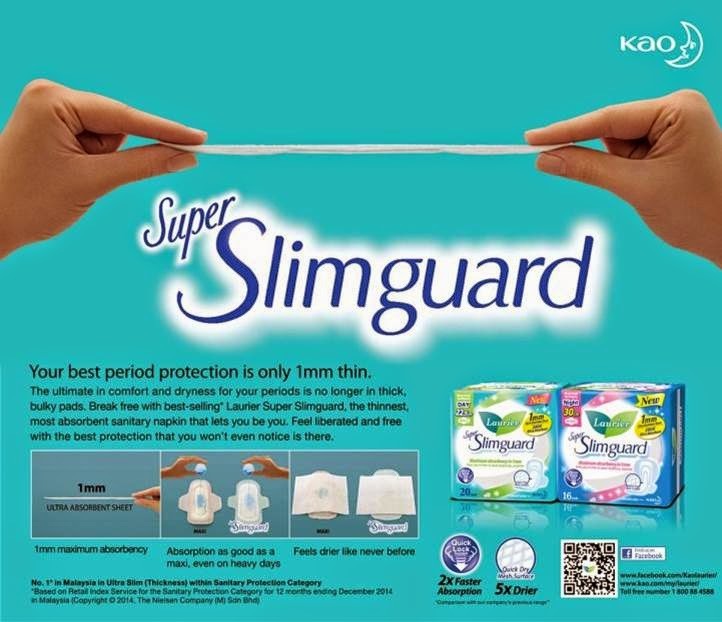 Laurier Super Slimguard Day and Night Wing is my period protection because it is only 1mm thin. Thinness of the pad and superb absorption which is 2x faster absorption makes it perfect for any occasion. There won’t be any discomfort or wetness thanks to its quick dry mesh surface which leaves you 5x drier with its Ultra Absorbent Sheet. You can wear anything you want and have the freedom of moving anyway you want to. Utilising advanced Japanese technology with the security and peace of mind. Hey! check out some funny scenes in this video, [ https://www.youtube.com/watch?v=1op2SVTdwz4 ] especially during the presentation and tennis court. Well with Laurier Super Slimguard 1mm thinness, you can move the way you want. 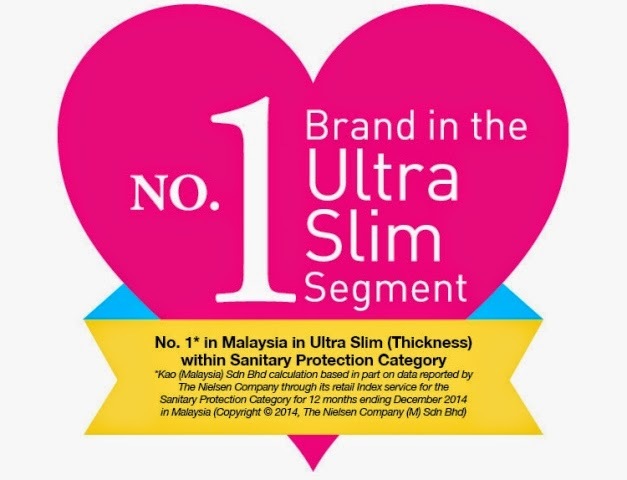 Psst… did I tell you that Laurier Super Slimguard is a No.1 Brand in the Ultra Slim Segment within Sanitary Protection Category in Malaysia since 2012 to 2014. *reported by The Nielsen Company. Hey Girls! You look gorgeous! I love your ootd! Do you hear that often? If yes, you stand a chance to win some exciting prizes. The contest runs from 14th March to 2nd May 2015. 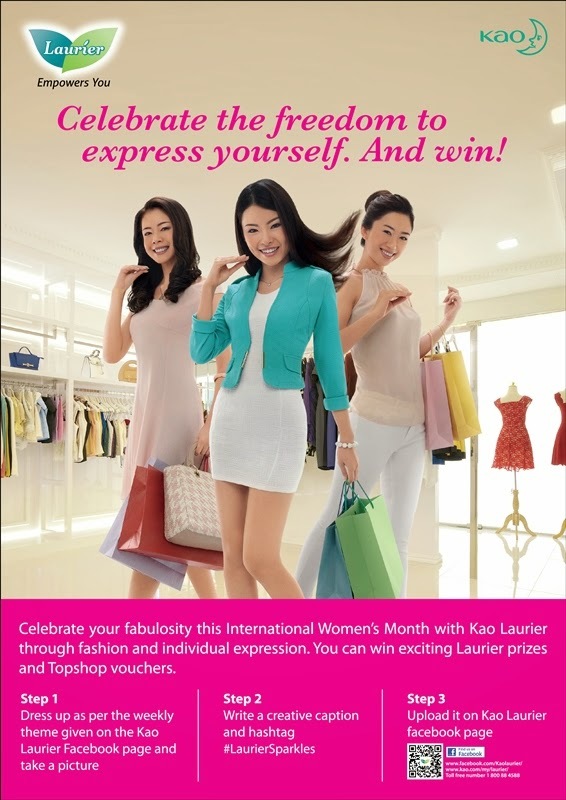 There will be total 4 themes to join the contest along the way where the 20 lucky Laurier fans from the themes will win total prizes worth of RM8,200 Laurier products & TopShop vouchers. All you have to do is to follow these 3 steps. Step 1: Dress up as per the weekly theme stated on Kao Laurier Facebook page and snap a photo of your ootd. Availability: In all hypermarket, supermarket, pharmacies and outlets nationwide. Life is good with Laurier! 7 Reasons Why I Need Internet?